Taib and Ragad: Are cracks starting to surface in Sarawak’s love story? Sarawak Chief Minister, Abdul Taib Mahmud aged 75 has been married to 29-year-old Ragad Waleed Alkurdi for six months, 3 weeks and 4 days up till Friday, July 22. Is the marriage going to be a forever thing for Taib and Ragad? In real life, there is no happy ever after, quite difficult in this modern world of stressful lifestyles. Like most marriages, as days turned into weeks and months, love can fly out of the window, while complacency walks in through the door. The rumors of Taib’s second marriage started off only a couple of months before the wedding actually materialised, but many people had been doubtful. Taib was known to be a one-woman man and his wife, Laila Taib, had passed away in April the year before. Polish-born Laila arrived in Sarawak in 1959 to wed a young Taib and had always remained in the background of her husband’s colourful political life. The couple had four children and 15 grandchildren. 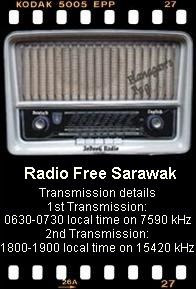 Laila was said to be loved by the members of Sarawak Perkim, and till today, some of them have not warmed up to Ragad yet. Beautiful Ragad is still as mysterious as the day she first stepped into Sarawak. Although some said she is a Lebanese and a niece of Taib’s brother-in-law, Robert Geneid, that has yet to be confirmed. Voluptuous and sensual looking, Ragad used to arrive at public functions on the arms of Taib. The two always dressed in the same colour and were coy in their behaviour during the early days of their marriage. When seated at the stage with all eyes on them, Taib would not be shy to touch her arms or whisper sweet-nothings to her. She, on the other hand, had eyes only for him and flashed her pearly smiles to him every now and then. Ragad does know her place. At public functions, she would sit quietly and smile around. Although, she mingled withkampong or village folk during Taib’s campaign trial, she was always kept away from reporters. Bodyguards surrounding her make sure that the press never gets near enough to talk to her. When Taib celebrated his 75th birthday, surrounded by family members, he dipped his finger into the icing and gave his young wife a first taste of it. Indeed, it seemed to be a marriage made in the heavens. If Ragad were to have a baby coming along, close friends of the family say it would greatly upset his older children. Sulaiman is already at odds with his father and the one who was most unhappy with Taib’s marriage was Hanifah, the baby of the family until Ragad dispaced her as the family’s youngest member. People close to the family say that the wedding took even Hanifah by surprise as a month before the marriage, when approached by the Chinese media reporters, she told them that her father still missed her mother and that he had no intention of getting married. 44-year-old Hanifah was accused of playing editor at the New Sarawak Tribune, after a senior editor was suspended for putting a headline story by Bernama, “Is Taib testing the water” last September. So anxious to please her father and win him back, she took on the shadow editor’s job where every page of the newspaper had to be mailed to her for her final say. With no experience as a newspaper person, she turned the Tribune into a government propaganda tool, with subscriptions sliding to a new low and suffering huge monthly losses. Senior editorial staff were said to be leaving in droves to rival papers due to her mismanagement. But behind all the smiling faces, does the new woman in Taib’s life make him happy? And does he make her happy? There is talk that Taib had unleashed his anger when he returned one afternoon to find that his young wife was not at home. Does he feel out of place in her young energetic life and is this making him more possessive? Ragad is said to love fast cars. Is Taib up to it if she decides to try out one of the many fast automobiles at their homes by going 150 miles per hour? One wonders if she is lonely, or used to the food and weather here. Although known to be taking English lessons with a home tutor, she appears to have few friends. Certainly, youngest step-daughter Hanifah who is 15 years older is not going to exchange girlie gossip with her. Life in Sarawak may turn out to be a cage for a princess who exchanges her youth and freedom for wealth and a new culture far different from her own. Is it worth it? Taib’s taking on a new wife may seem good on the surface, especially when it comes to photo-sessions with such a beautiful trophy by his side. But everyone knows that a new addition to the family will always bring new problems into the fold. There are already tongues wagging that his children are not happy with a new mother who will surely want to share the family pie or rather the Sarawak cake with them. As they say, more men less share. Whatever may happen behind closed doors at Taib’s residence, the people of Sarawak are still wondering and waiting to see how if he will decide to retire and spend more time with his lovely new wife. This entry was posted in Sarawak, The Taib family. Bookmark the permalink. 1 Response to Taib and Ragad: Are cracks starting to surface in Sarawak’s love story? Hanifah Taib was born in 1972 and now aged 39 yrs old. This meant she is 10 years older than Ragad. Sulaiman Taib is 43 yrs old and he is older than Hanifah.Please get your facts corrected.